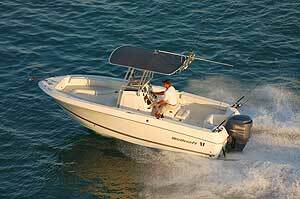 Wellcraft 210 Sportsman is a dual-console boat designed for maximum versatility. 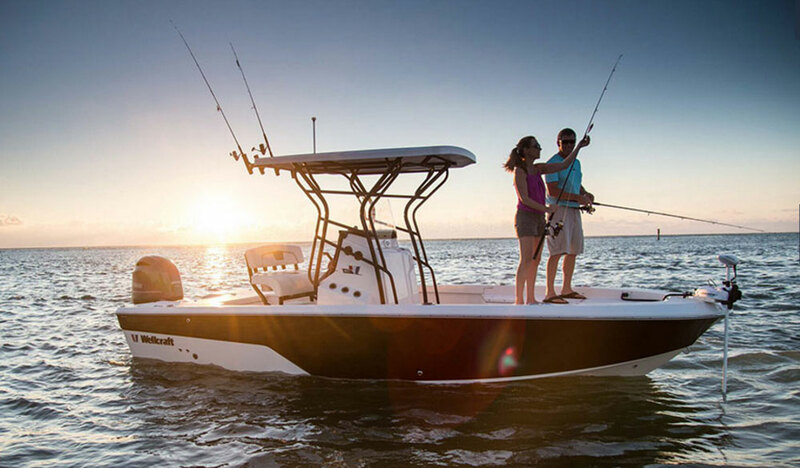 A multi-purpose boat in the truest sense, the 210 Sportsman provides a solid platform for a variety of on the water activities. 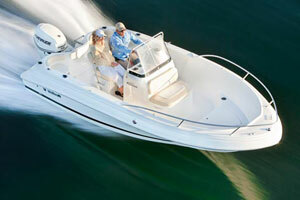 Wellcraft Marine based in Sarasota, Fla., has added the single 210 Sportsman to its line. According to a press release, the new model is a "rugged and thoughtfully engineered single-engine 21-foot dual console." It boasts a sleek and stylish profile with spacious layout. "Great things come in small packages," said Mike O'Connell, senior vice president and general manager of Wellcraft. 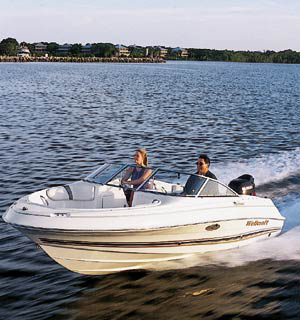 "In this down economy with high gas prices, people still want to boat. 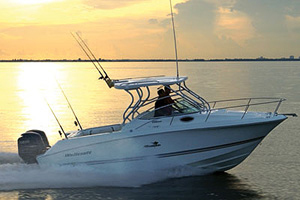 The 210 Sportsman is great for the smart family that enjoys affordable time on the water." 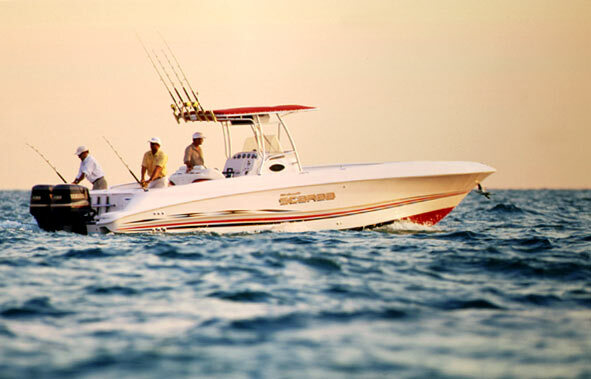 A multi-purpose boat in the truest sense, the 210 Sportsman provides a solid platform for a variety of on the water activities. 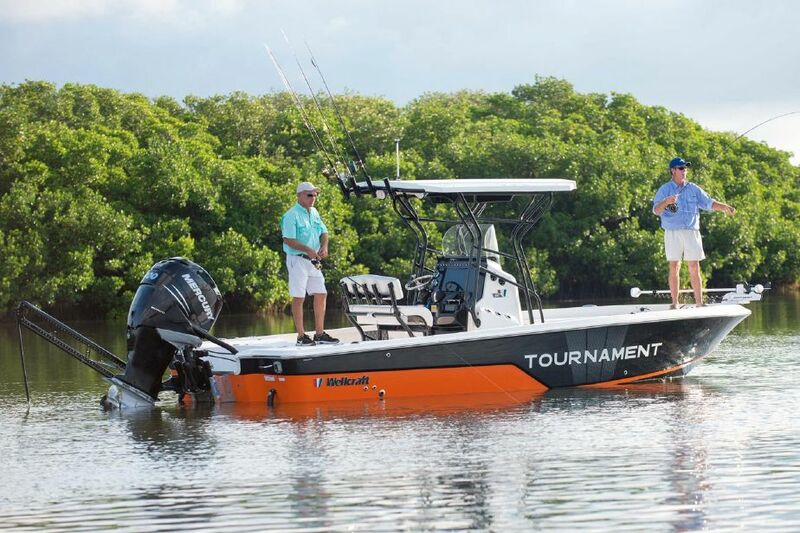 The angler will find four stainless steel rod holders, port and starboard under gunwale rod storage, two in-deck fishboxes with overboard pumpout, and an 80 qt baitwell. 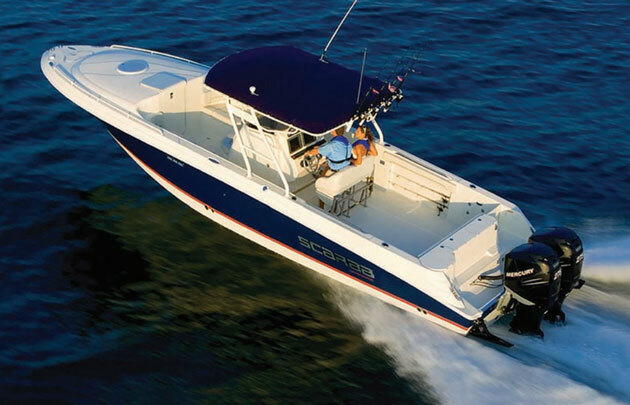 For the water sports enthusiast the 210 Sportsman offers ski/wakeboard storage, dive platform and an optional ski pylon. A self contained head is standard; a nice touch for a full day of water activity. Technical specs are as follows: LOA: 21', beam: 8'6", dry weight: 3,505 pounds. deadrise: 19 degrees, fuel: 101 gallons. 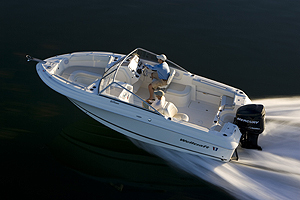 The 210 Sportsman is available with nine power options from Yamaha or Evinrude. For more information visit Wellcraft.